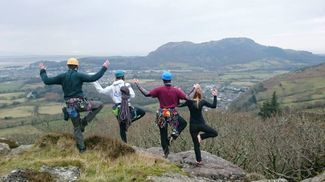 UBMC is a Guild of Students society which offers students the chance to enjoy traditional climbing, sport climbing, bouldering and mountaineering. We offer an impressive social calendar with events running fortnightly. 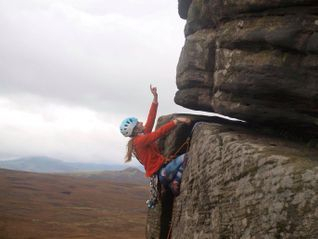 The club warmly welcomes all novice and experienced climbers. All the necessary gear and training is provided along with a healthy dose of enthusiasm and encouragement. Click to visit the new site! As one of the largest Guild of Students societies you can be guaranteed to meet like-minded individuals with similar interests and abilities. 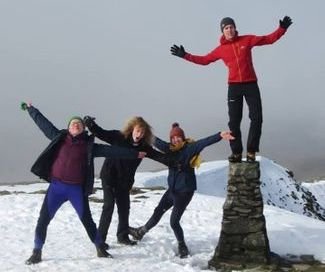 With membership fixed at the meagre sum of £35 UBMC is the most affordable sporting group to join at the University of Birmingham. Combine this with free use of the extensive stock of club gear and you've got maximum fun for minimum cost. For information on all of the above or anything else UBMC related, either check out the forum section of the website, go to our facebook page- https://www.facebook.com/UBMCstoats or drop an email to [email protected].